My Alaska cousin, Eider Duck, went moose hunting. He sent us these photos. 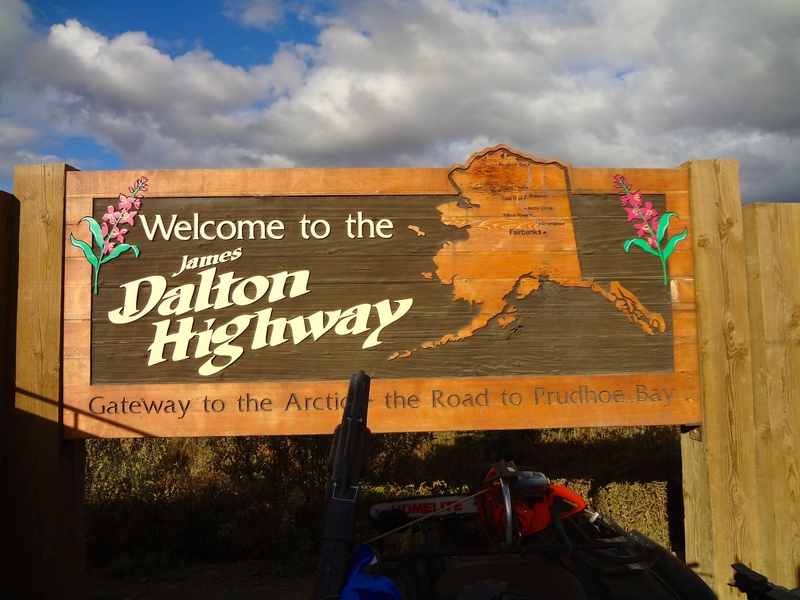 Eider and his humans drove north on the Dalton Highway. These are his human hunters. 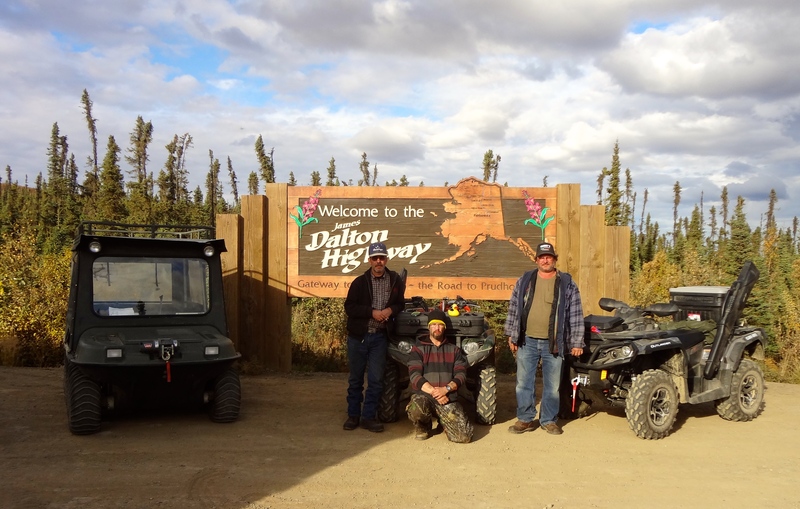 They camped in tents in northern Alaska for two weeks in September. Eider, take care of the humans. 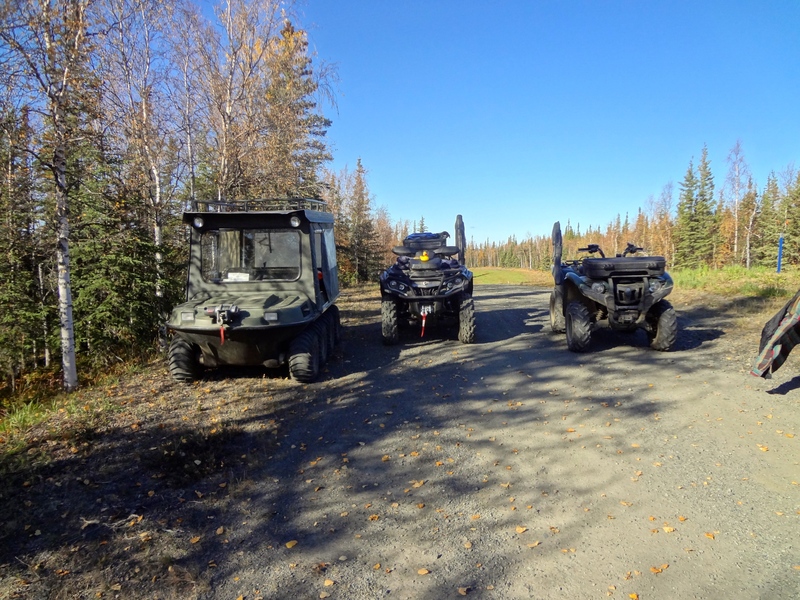 Hunting in northern Alaska requires a variety of vehicles. This is a sample of the area they visited. Careful Eider. Don’t get lost out there. 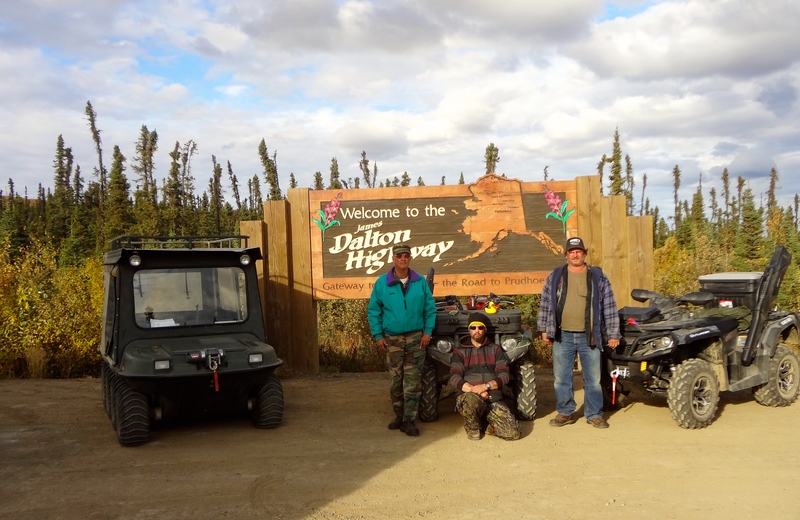 Some of their traveling was near the famous Alaska pipeline. The pipeline here doesn’t look very far from the ground, but it is. 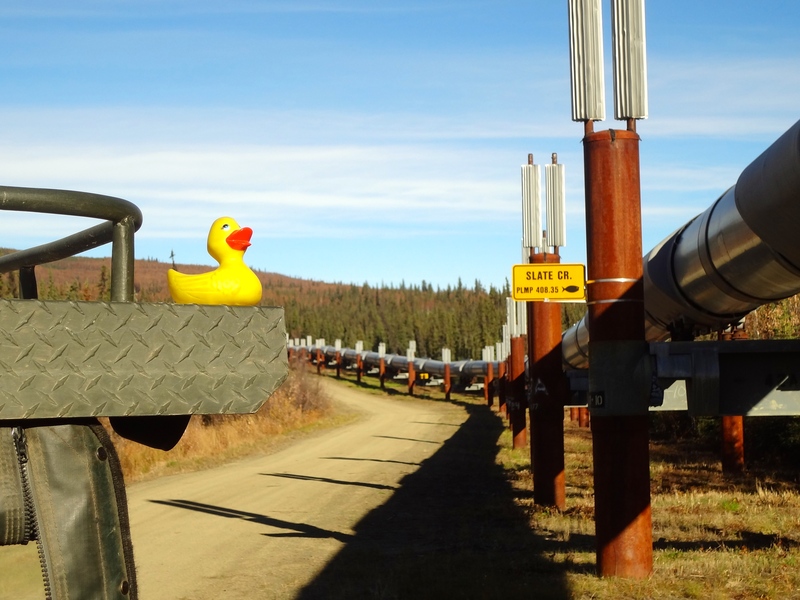 Eider told me the pipe must me far enough off the ground for herds of caribou and moose to easily pass under the pipeline. Eider and his humans are heading down this road. 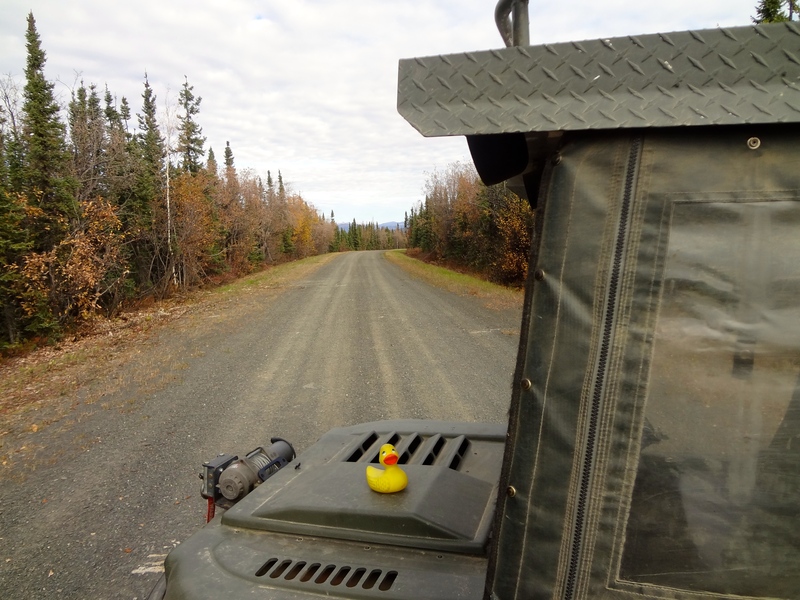 Eider said he had fun on the hunting trip, but the humans did not see even one moose. The moose also know when it is hunting season. Eider is back home now and ready to go to the grocery store with his humans. The rule of his human hunters: If you shoot it you must eat it. 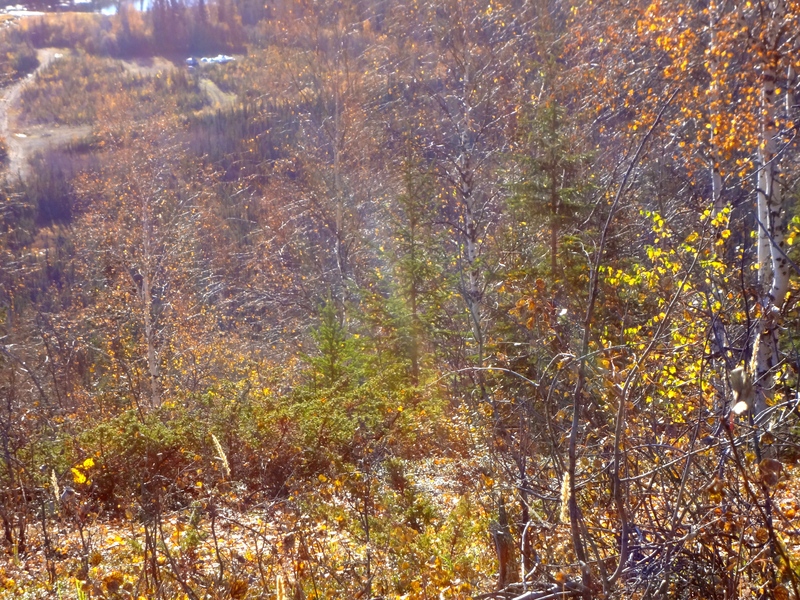 They did not shoot any moose, so there is nothing to eat. A trip to the grocery store will fill the refrigerator this season. Eider will going to the grocery store soon. Thanks for the photos Eider. And thanks for telling me about your camping and hunting in northern Alaska last September. I, Zeb the Duck, went with mom and her friend to the Rocky Mountain Quilt Museum in Golden, Colorado. 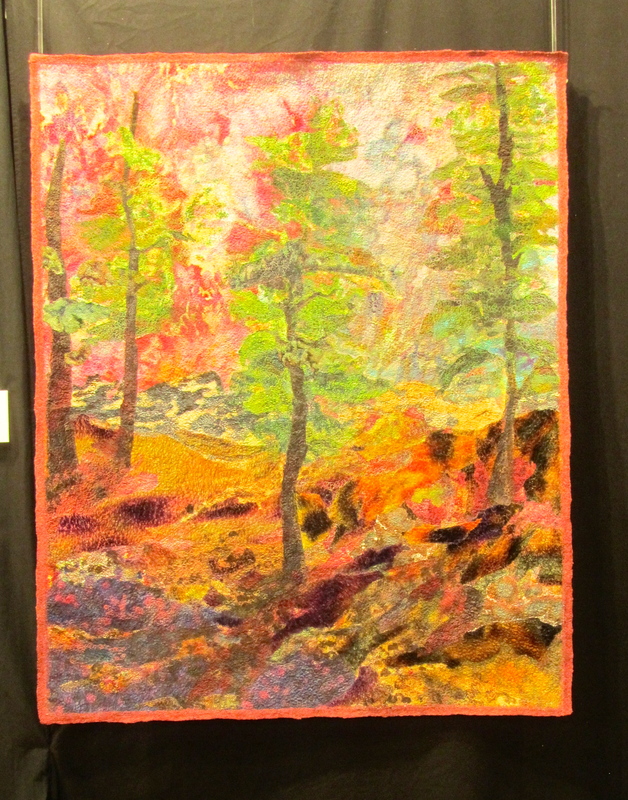 The third biennial quilt challenge took place here and many of the competing quilts were on display. 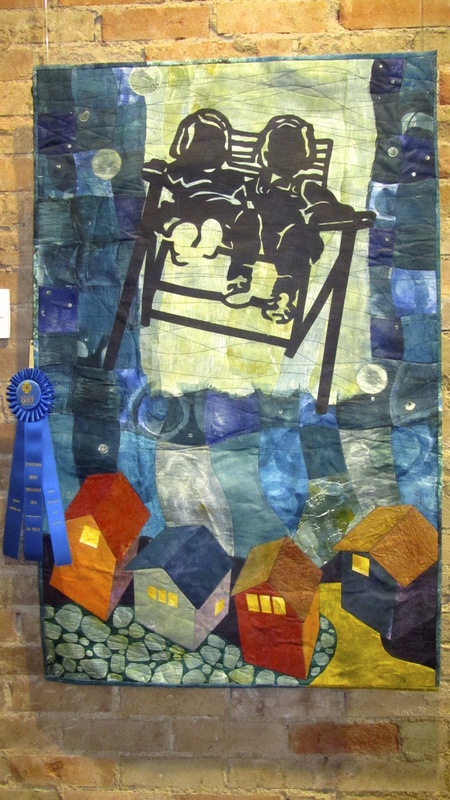 This quilt, titled Change Begins with a Dream: The Flight of the Magical Lawn Chair won first place. Bobbi Baugh of Deland, Florida, made the quilt. Second place was awarded to Living Fossils I by Charlotte Bird, of San Diego, California. Charlotte says time, process and change are persistent themes in her work. 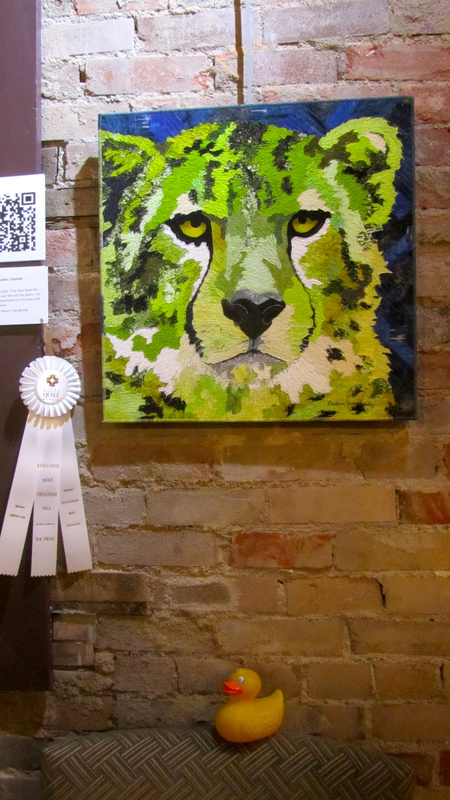 The third place winner was Amani by Barbara Yates Beasley of Boulder, Colorado. Barbara loves animals and asks, Is this cheetah thinking of dinner? We liked these other quilts, also. This is named Tail Feathers. It represents the bright and layered hues of Pan-American birds against a dark blue sky. Velvet Shadows was another entry in the contest. 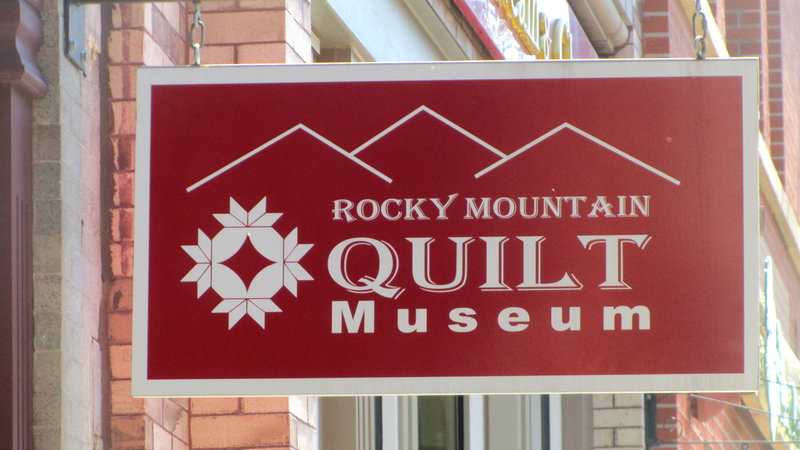 The quilt museum has a private collection. 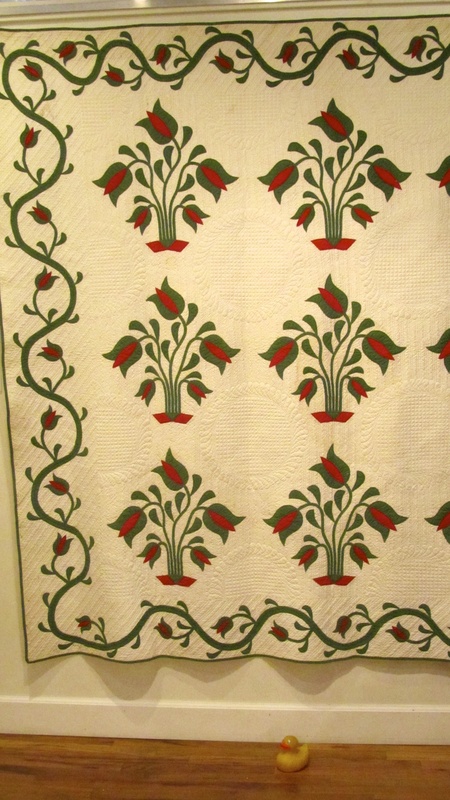 These older quilts, from the museum’s collection, were on display. 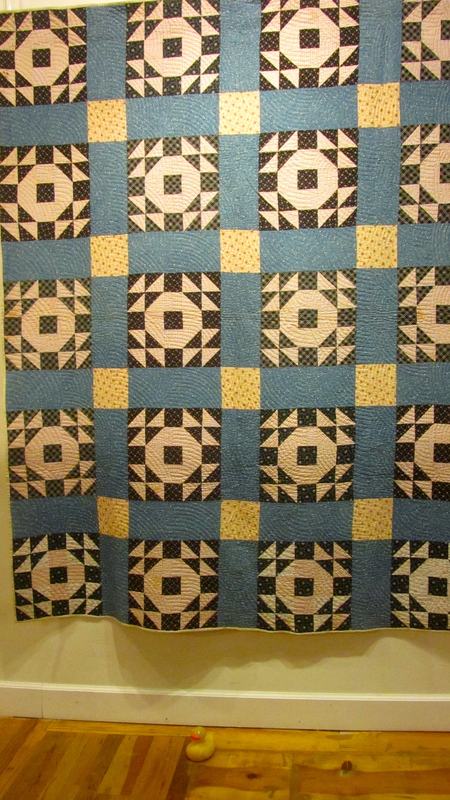 All of these older quilts were hand made. 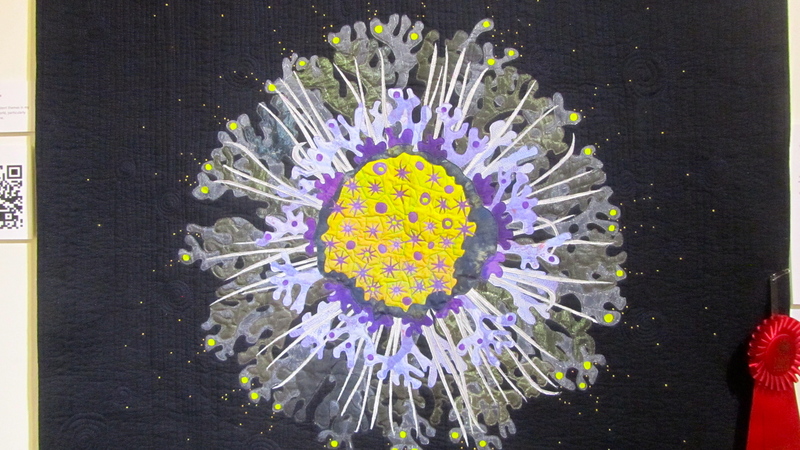 Many of the newer quilts are sewn on machines. This is called Kansas Sunflower from 1935. The Kansas Sunflower and other dahlia-style patterns have retained their popularity from the early 1930’s through today, especially in the Midwest. This is New York Beauty from 1896. 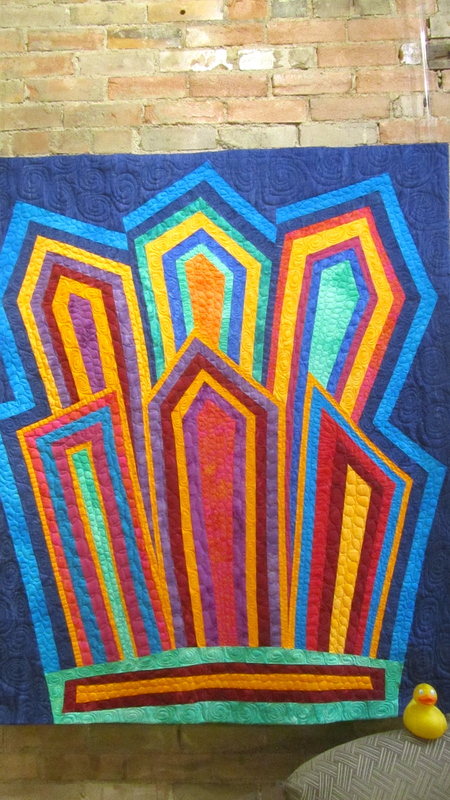 This quilt shows the work of more than one hand. 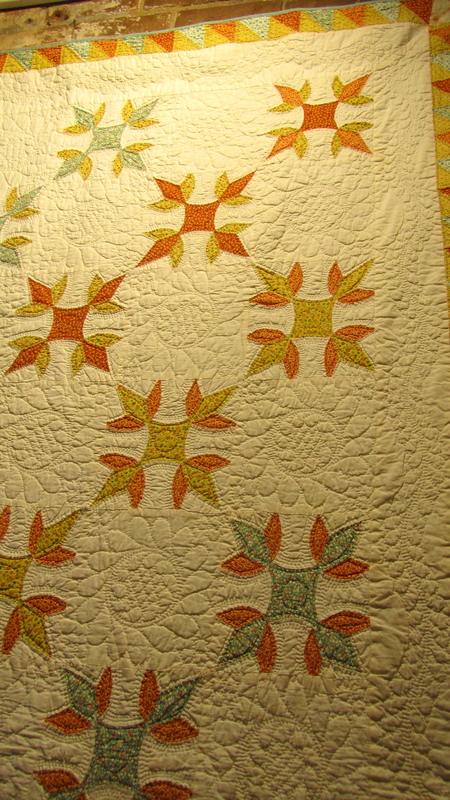 The quilters signed their work in the lower portion of this quilt. We also like Nineteenth Century Tulip from 1897. 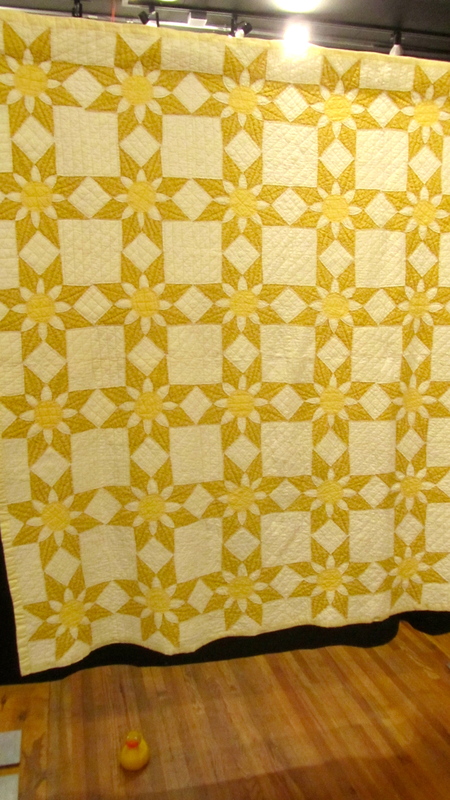 Information at the time of purchase gave the quilt’s origins as from “Clarksville, TN, Officer’s family, 1880. 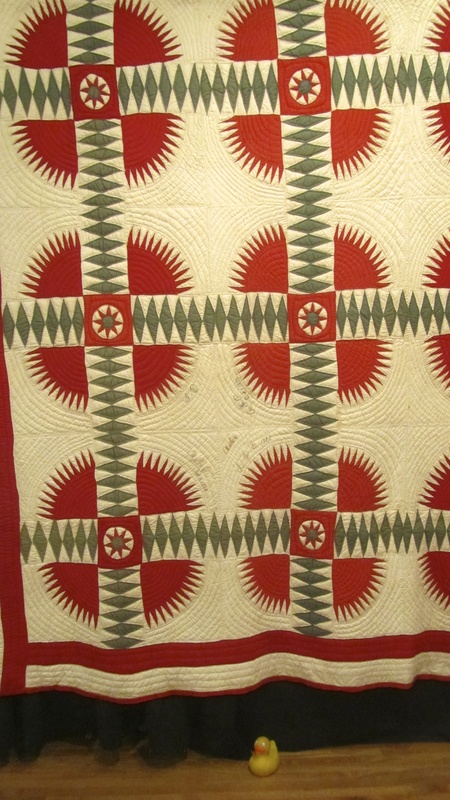 This quilt, Turkey Tracks, is from 1927. 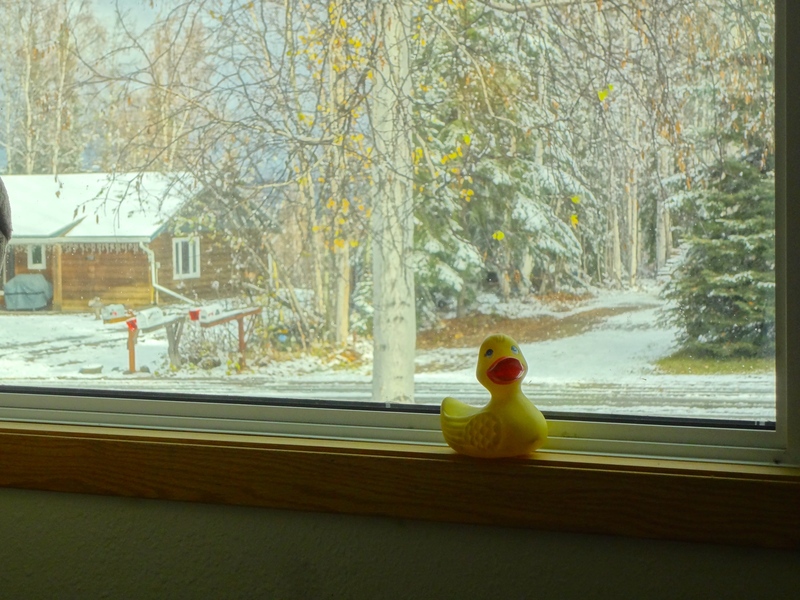 I, Zeb the Duck, was ready for a day trip to our Rocky Mountains yesterday, but it did not happen. The weather forecast correctly told us that we would receive snow. So, instead of a trip to the mountains, we shoveled the driveway. One of our wonderful neighbors was shoveling our sidewalks by 8:30 a.m. Then we stayed inside and mom baked banana bread. Smelled good and tasted great. We did go outside for a couple pictures. The snow does look pretty here. So white and clean. Now I am on the hot tub cover. 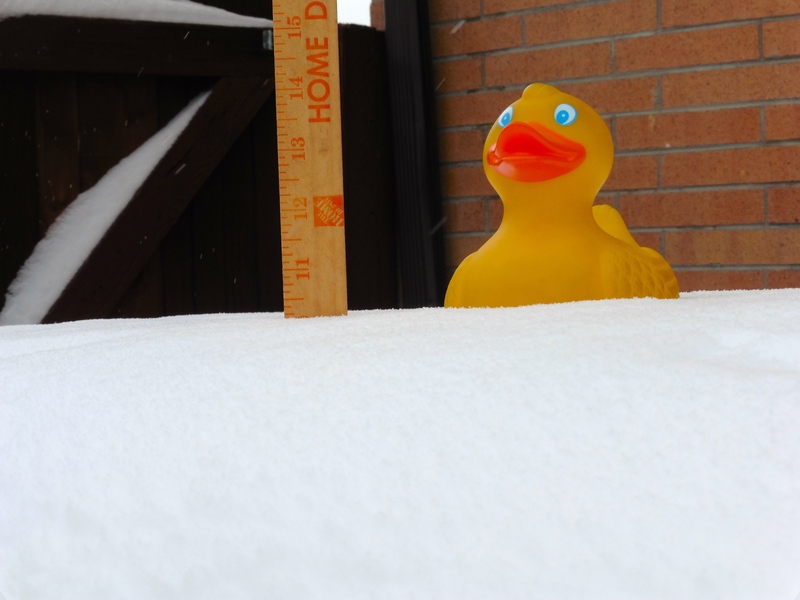 I am light enough to sit on top of the snow, but this stick shows a little more than 10 inches of snow. The hot tub is in a corner of our yard, against the house, so the rest of the yard may have received more or less. As mom is writing this Sunday evening, it is snowing again. We do not have the snowstorms other parts of the country received this year, but this enough for us for now. 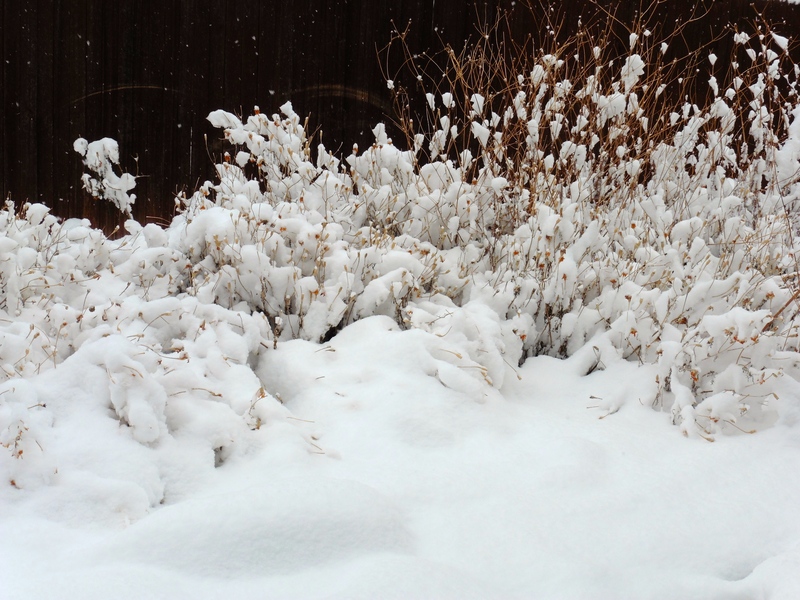 We hope you are enjoying your winter and seeing some pretty snow as well. It should be sunny again in a couple days. 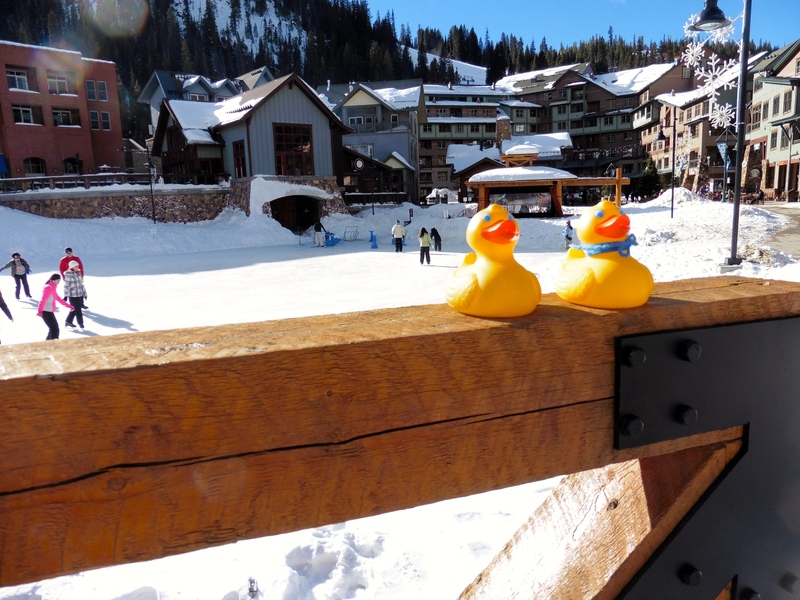 Yesterday, I, Zeb the Duck and Soapy Smith Duck, took you to Winter Park Resort. Today we will show you more of this great Resort. After we left the ice skating pond, we saw this. Humans can play this instrument and make music. 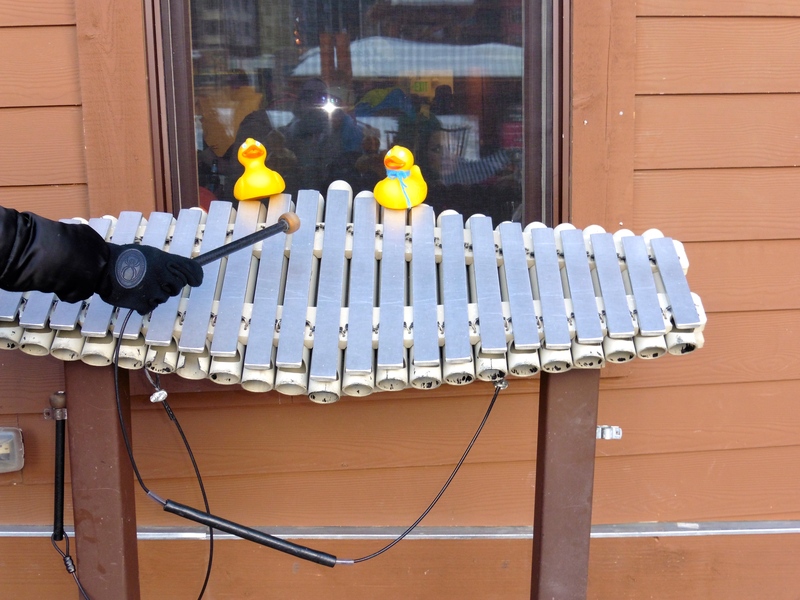 We ducks really like to hear the musical sounds. Further into the Village, we reached the ski slopes. 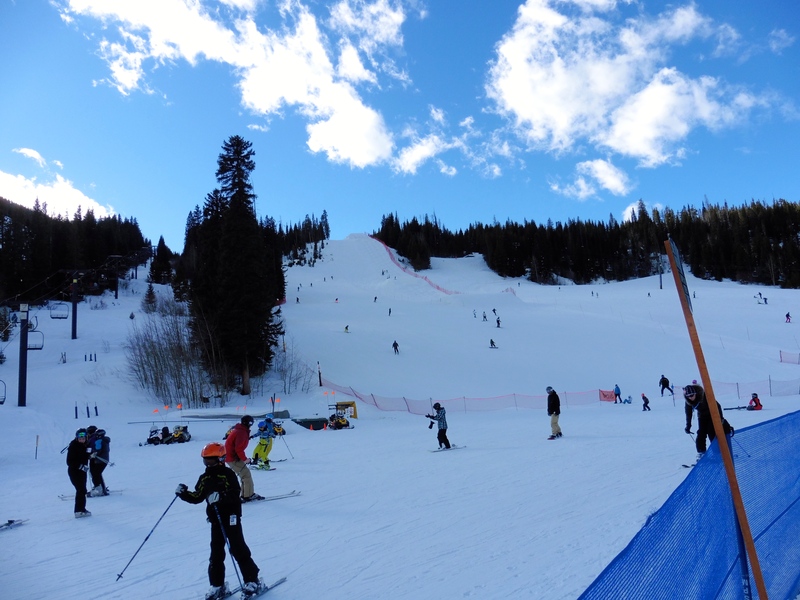 We watched the skiers and snowboarders. 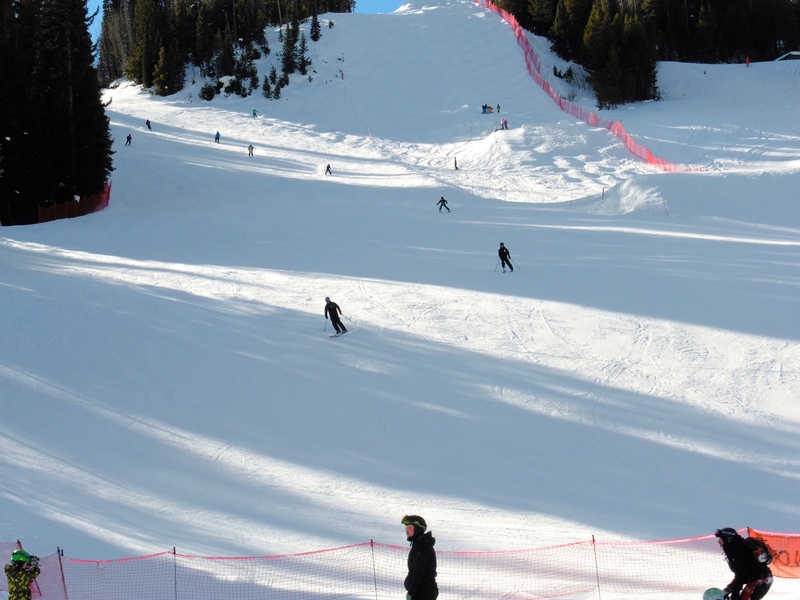 Here they are, coming down the slope. 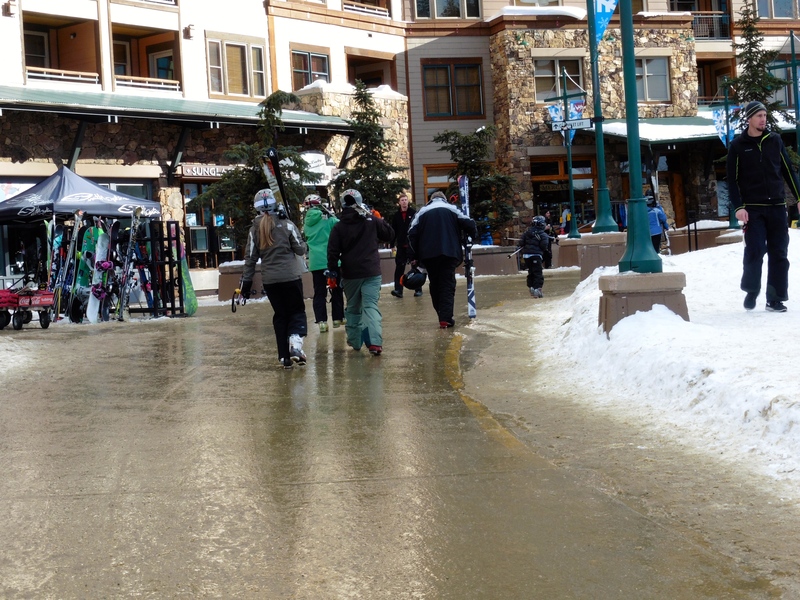 We saw adults with regular length skis. They we saw smaller humans with the shorter skis. 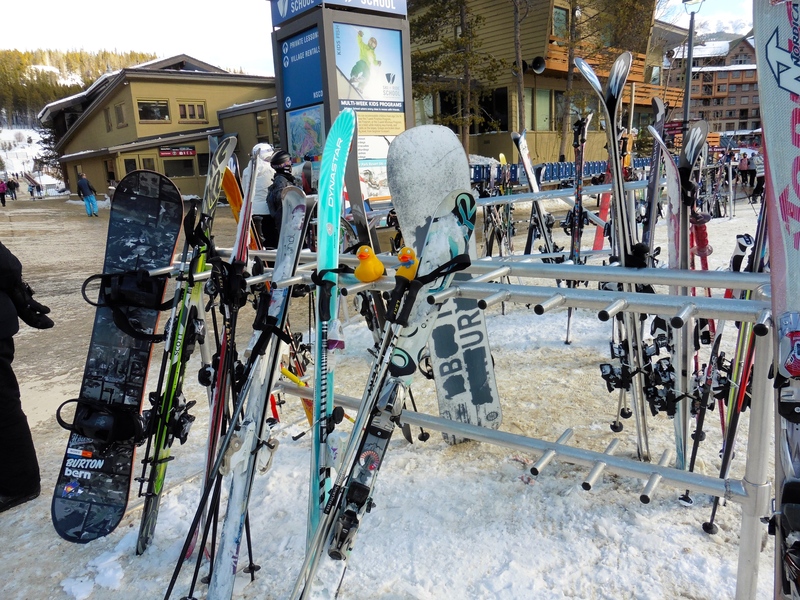 After the humans come down the hill, some of them head for the chair lift to go back to the top, and some remove the skis and snowboards while resting, eating or shopping. There are many places to shop here. And there are condos in the same buildings. That is very convenient for the humans. 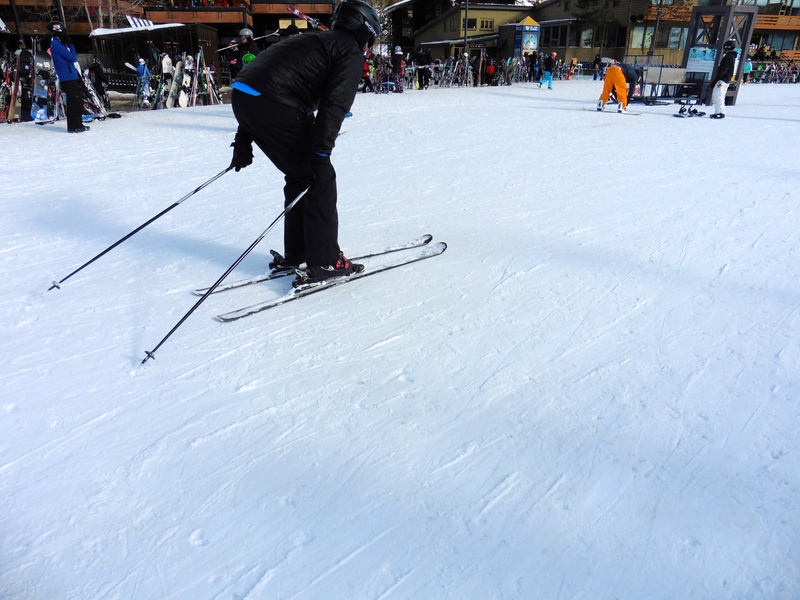 Some humans want private skiing lessons, so this is the place. Or, this is also a great spot to just sit, rest and watch all the people. Soon, many people are tired and finished for the day. 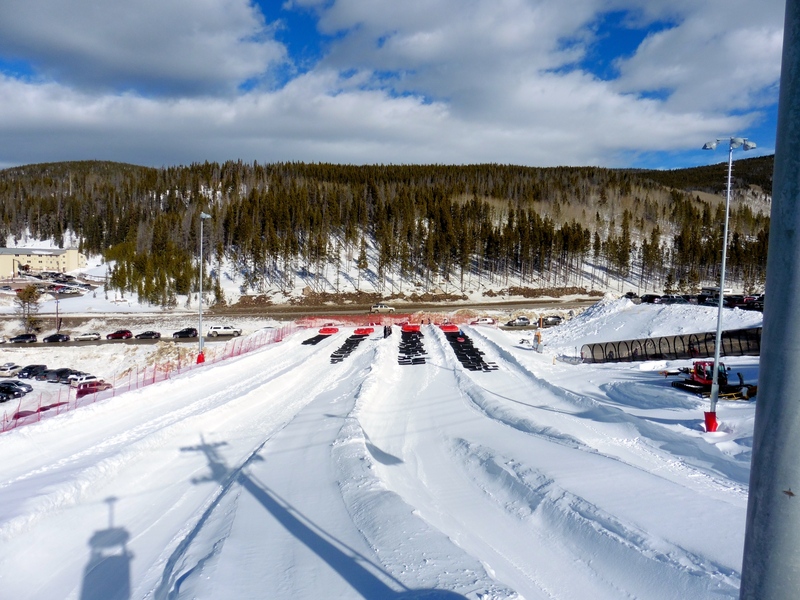 Now it is back to the parking lots to drive back to Denver, or to go to a condo and prepare to do it all again tomorrow. 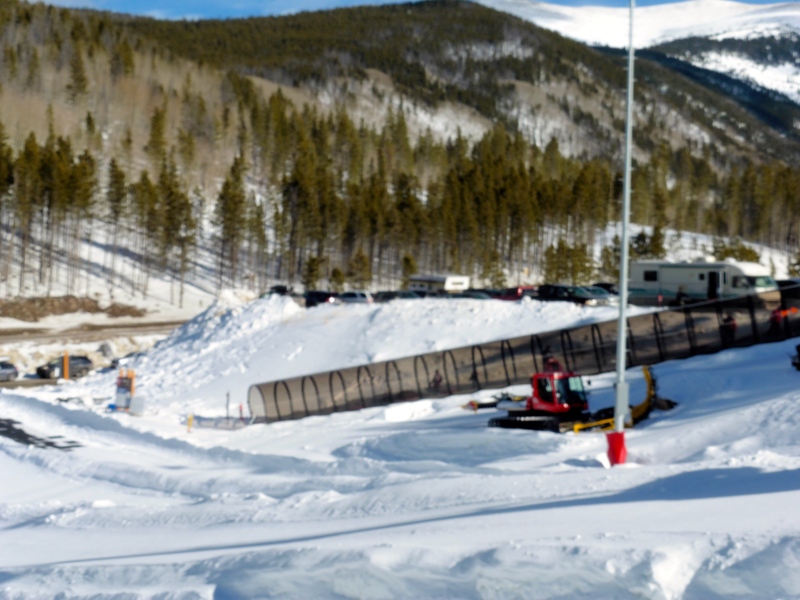 Colorado is a great place for skiing and snowboarding, but we wanted to show you that there is so much more to do in Colorado’s mountains during the winter. 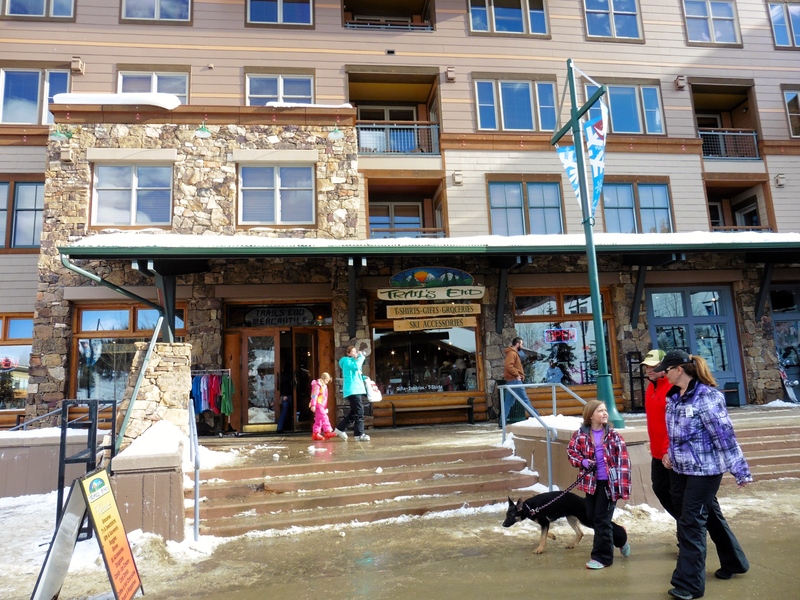 For more information, visit http://www.winterparkresort.com We hope you enjoy Colorado’s Rocky Mountains this winter. 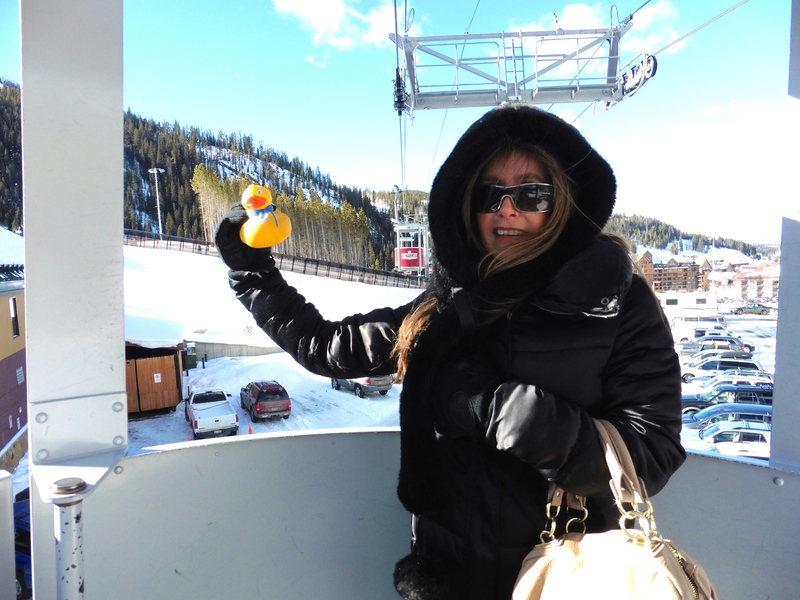 Today, I Zeb the Duck and Soapy Smith Duck, went to Winter Park Resort. 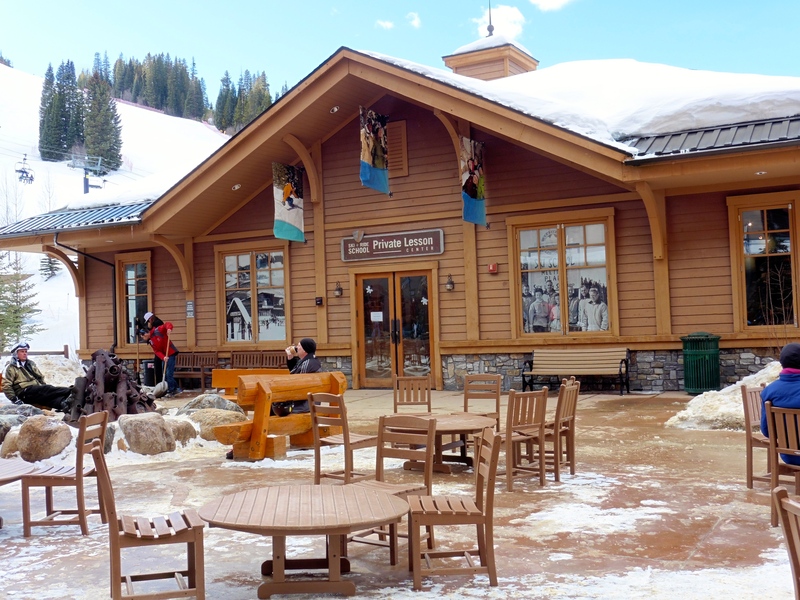 This resort is so much more that just a ski resort. Leaving the parking lot we decide to ride the Village Cabriolet. This free sky ride takes us to the village. From the sky ride we see the lanes for humans to ride in big inner tubes. And look at this: another moving sidewalk to carry humans and tubes to the top for another ride. This moving sidewalk is even enclosed. Extra protection for rainy or snowy days. What a great idea! 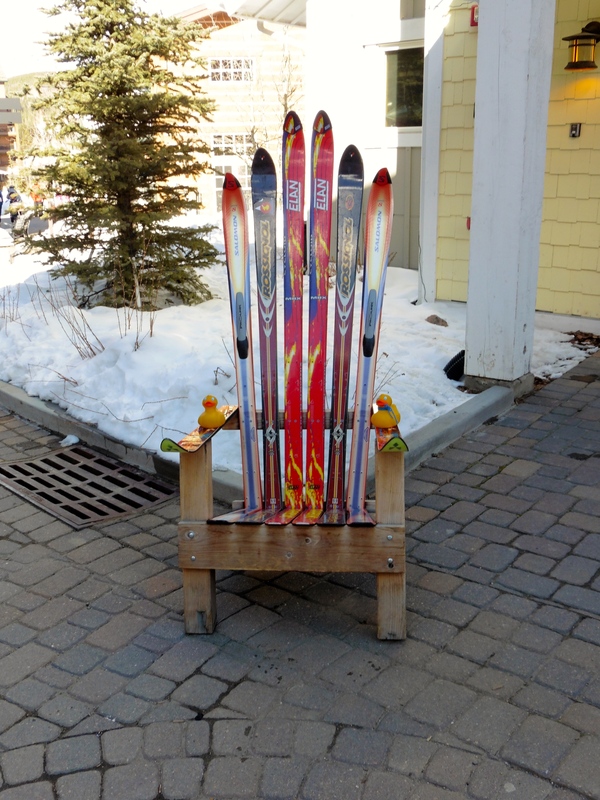 Arriving in the village, we like this chair made from skis. 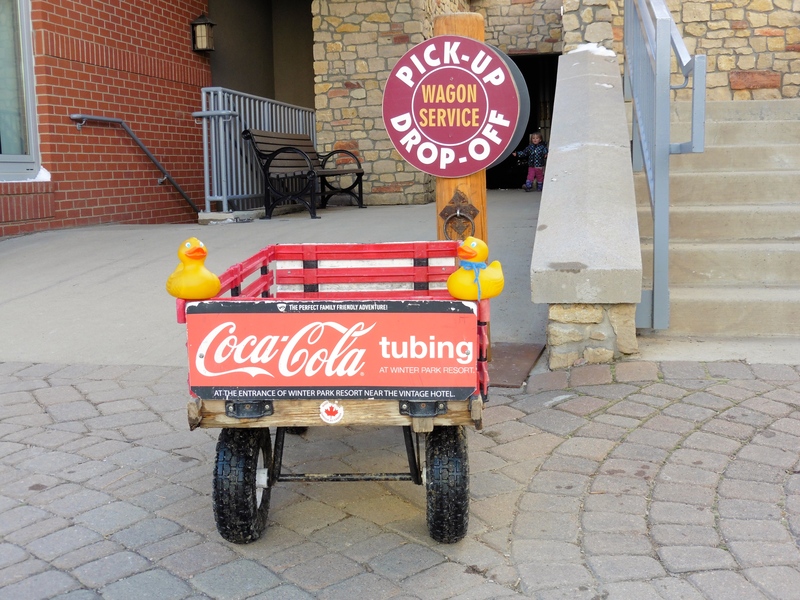 This wagon, and others, are for humans to carry tired children, tubes, skis snowboards, etc. That is really convenient! Isn’t this Coca Cola Bear just perfect? We love him. 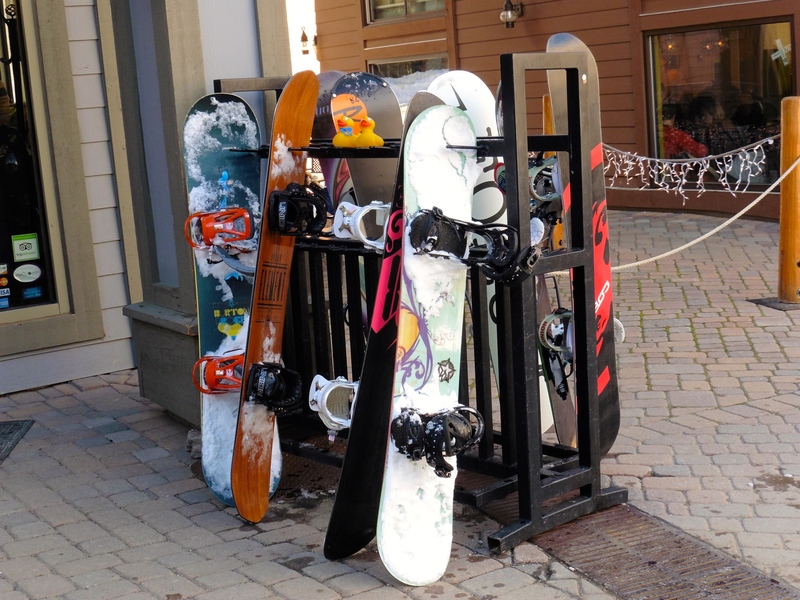 Snowboarders need a safe place to leave their snowboards while they rest, eat or shop. Remember we are in the mountains in the winter and it is snowy and cold. This fire pit feels nice, so warm and cozy. This skating pond is wonderful for beginners. Humans can ride on these, hold on to them for balance, or give the little humans a ride. 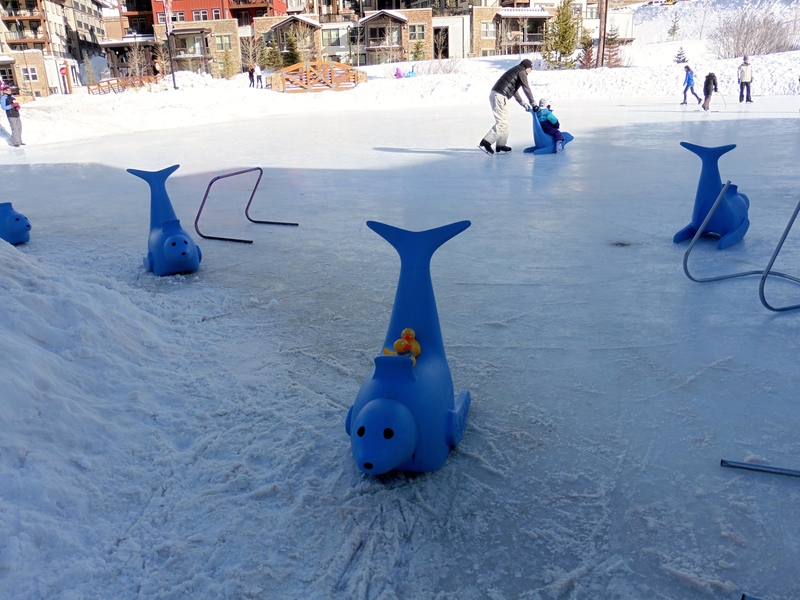 There are also experienced skaters on this pond. Maybe some time we can ice-skate. 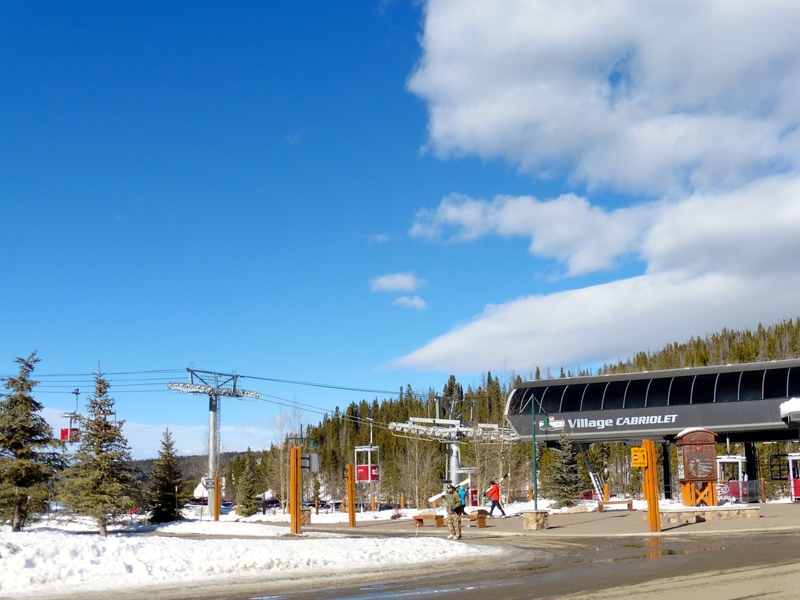 There are so many more things to show you at the village at Winter Park Resort. 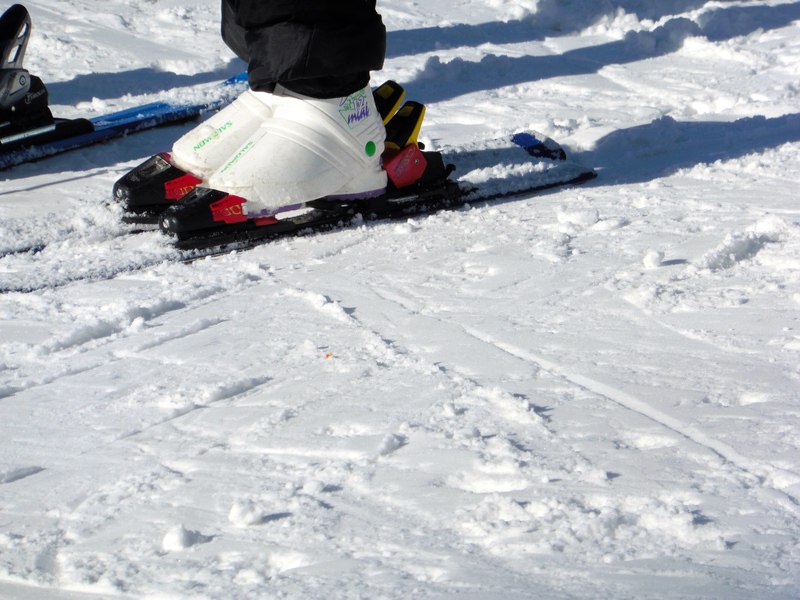 We will have more pictures tomorrow, even showing you some skiers and snowboarders. 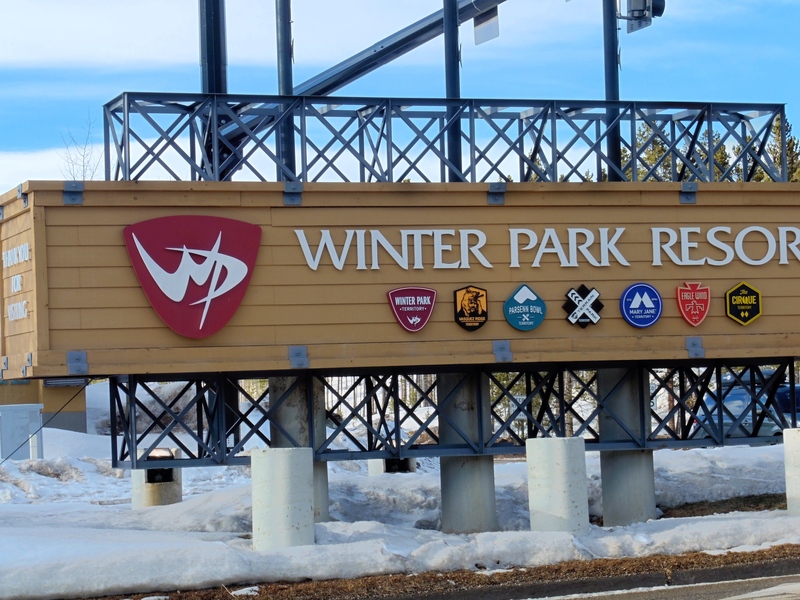 See you tomorrow at Winter Park Resort. This is the year of the Goat or Sheep. According to Chinese astrology, each year (starting from Chinese New Year) is associated with an animal sign, occurring in a 12-year cycle. This year, 2015, is the Year of the Goat. For those born in the year of the Goat (1919, 1931, 1943, 1955, 1967, 1979, 1991, 2003, 2015), your lucky colors are brown, red and purple. Your lucky numbers are 2 and 7. Your lucky flowers are carnation and primrose. The personality of those born in the year of the Goat is described as calm and gentle. You are generally believed to be gentle, mild-mannered, shy, stable, sympathetic, amicable and brimming with a strong sense of kindheartedness and justice. 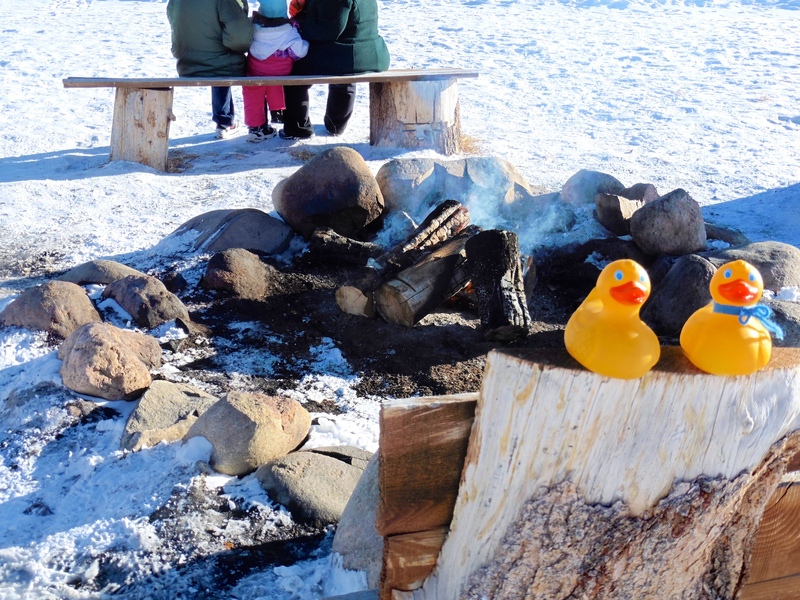 We ducks like humans with these personality traits. 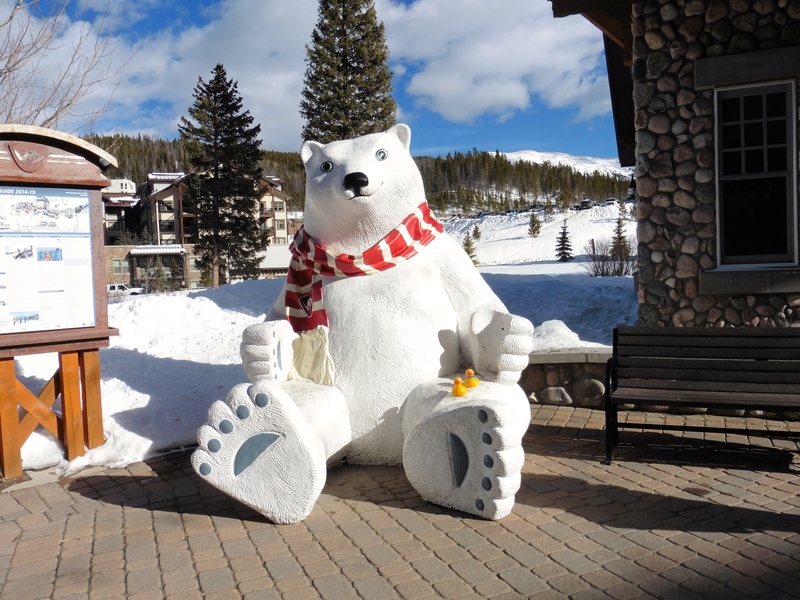 Today Zeb and Soapy went to Colorado Adventure Park to enjoy the snow and Colorado sunshine. 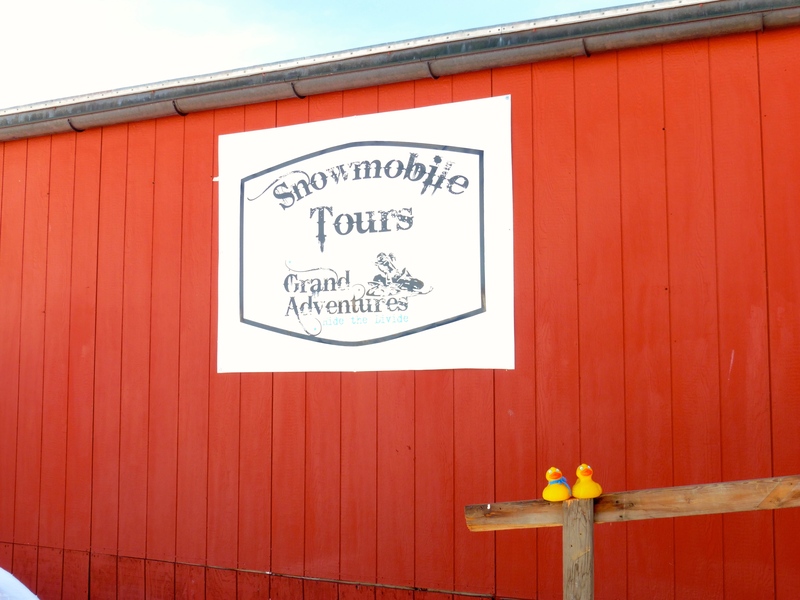 First we stopped at the Tubing and Snowmobile Tours building. 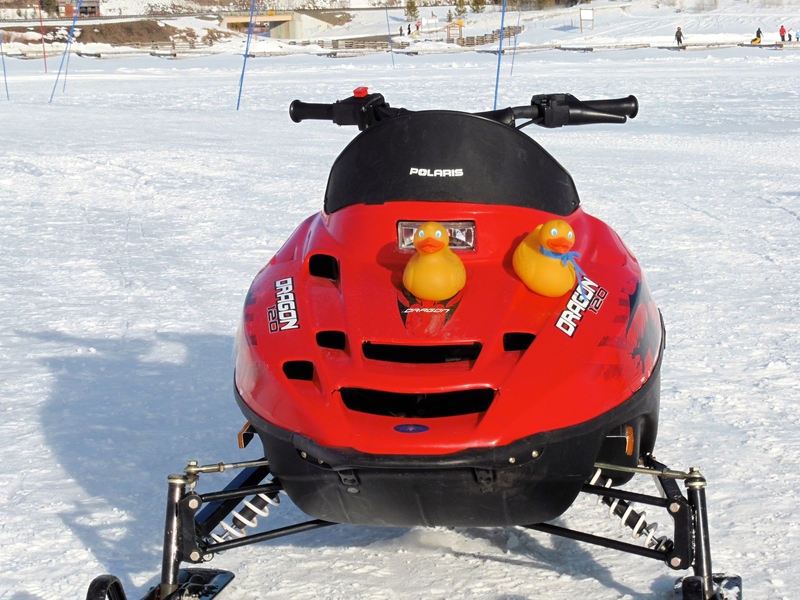 These snowmobiles look like we could have fun here. 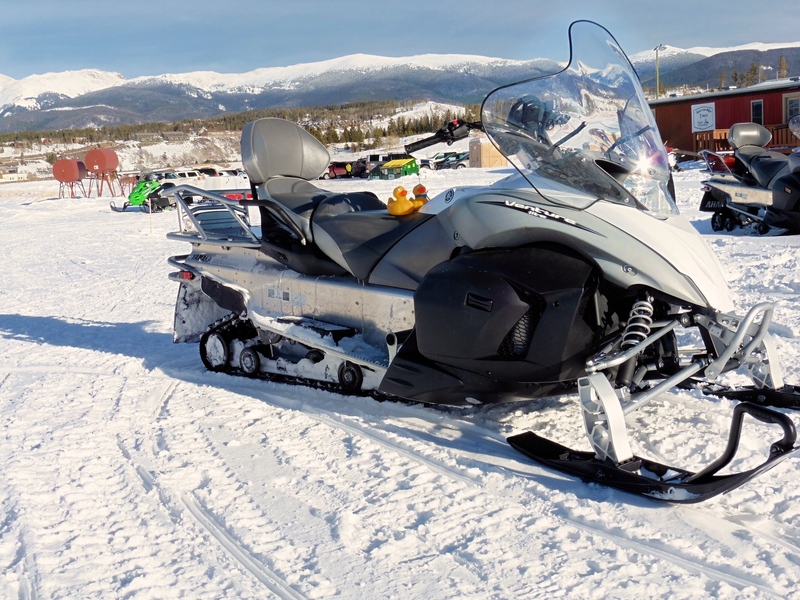 This is a big snowmobile. Too big? They are big, but we are ready to go. But wait… these are more our size. Now we are ready to ride. We can go tubing also. This hill is a better size for two rubber ducks. It was fun! 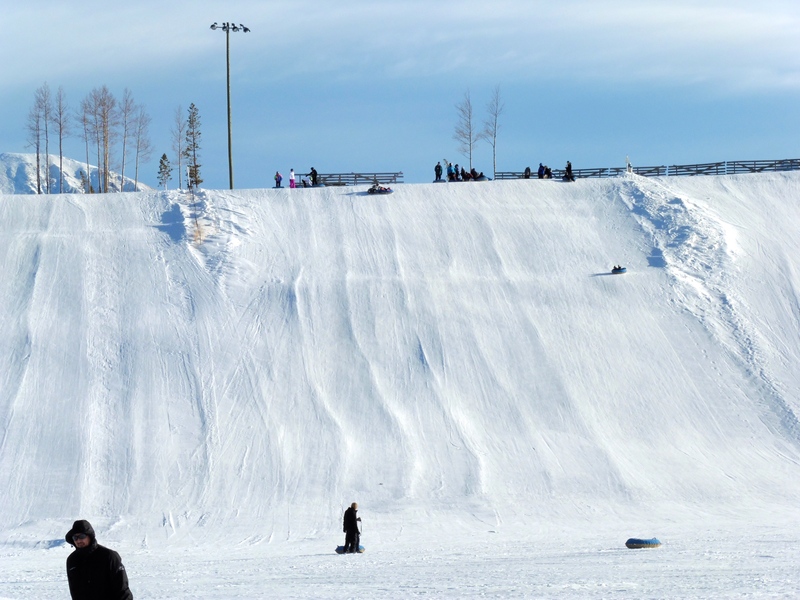 The humans can practice on this hill and then come down this bigger hill on the tubes. Now they are down, how do they get back up to ride again? So easy. 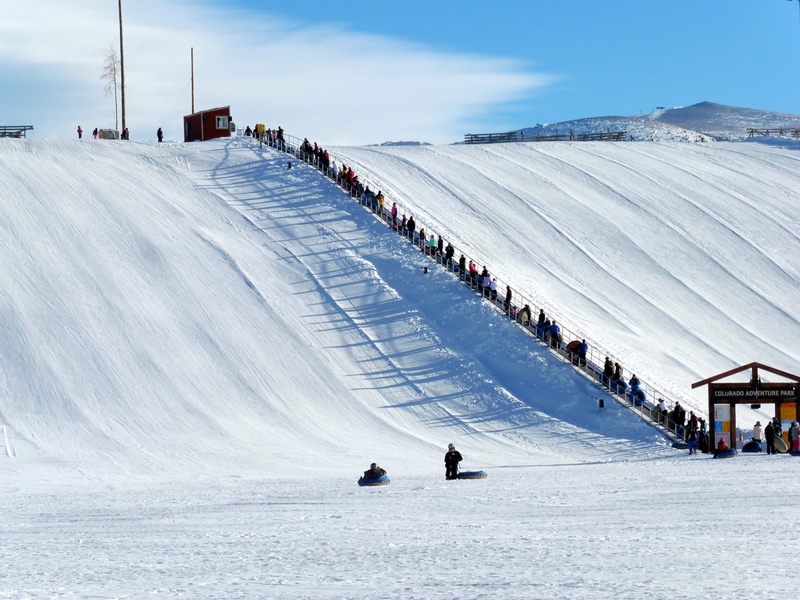 Save energy for tubing downhill again. Look at this moving sidewalk. This is great for humans and ducks. We like this place, but even with the bright Colorado sunshine, we are getting a little cold. 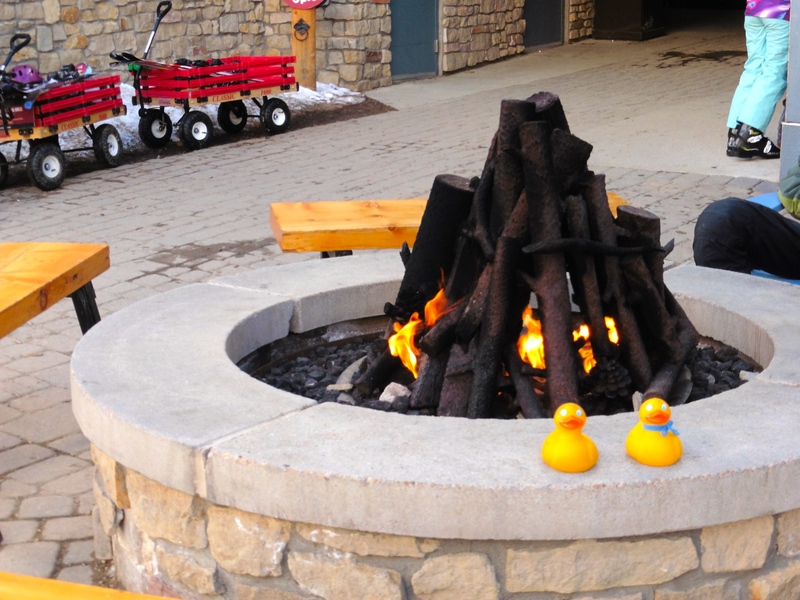 This fire pit area is just perfect for warming our feathers. Warmth of fire feels so good! We really had fun here today. 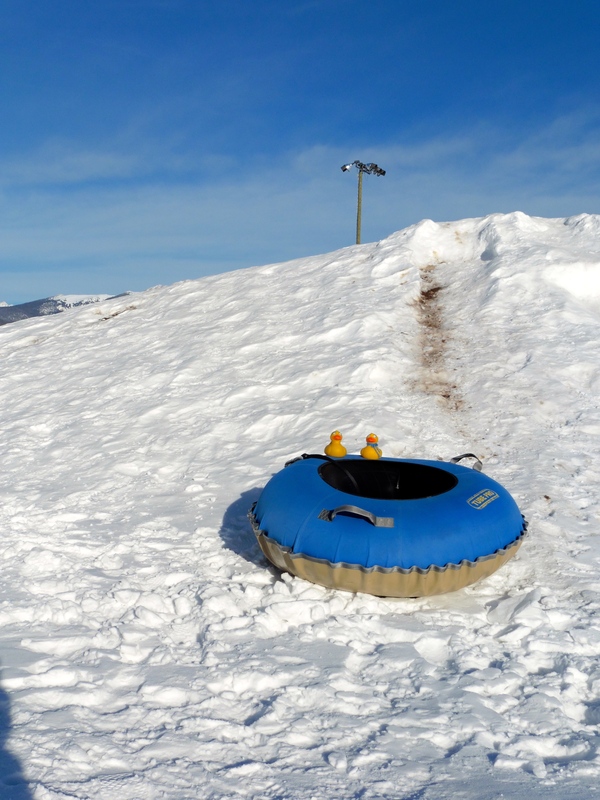 We hope you will try tubing and snowmobiling this winter.